About 2 weeks ago we had a play date. And I’m just getting around to posting about it. It was fantastic. The weather was perfect, the kids had a fantastic time and the moms might have enjoyed our freshly brewed coffee and made from scratch scones. Beth, Leslie, Becky and hotflawedmama (and respective children) had a grand time and are hoping to repeat it many more times. 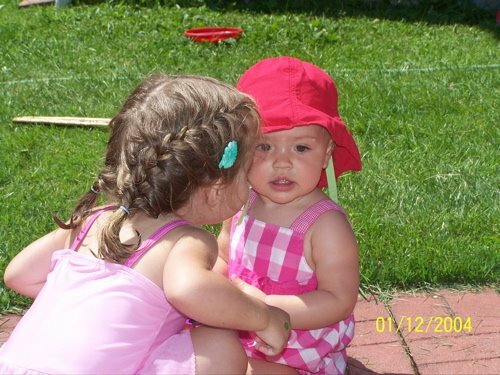 I have to apologize to Beth that I can’t quite tell which twin this is but this picture was kind of too cute. MMMM chalk. PS, Beth and family recently announced their Ethiopian adoption! I’m so excited for them and humbled to have been a small part. 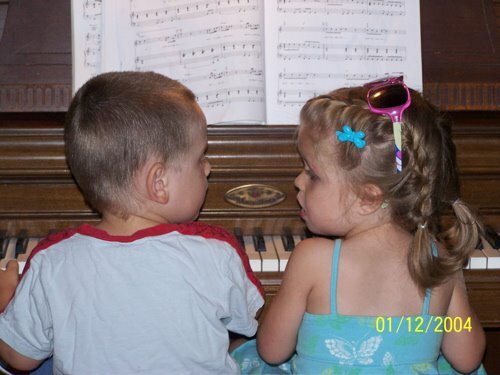 The wonder non-twins playing the piano. Dailah LOVES baby Cates. Can’t get enough of her, can you tell? More proof. And how could you not? I love these, especially the one with Tariku leaping in the air. What a fun day. How blessed I am to have you all as friends. And that is Russell- apparently we don't feed him enough at home. I promise to find a date so you can all come here. Have a good weekend! Just woke up from a nap with the kids, so deep in sleep that my lips were stuck together- ugh.